Katana come in many distinctive and eye-catching designs inspired by Japanese artwork and culture. 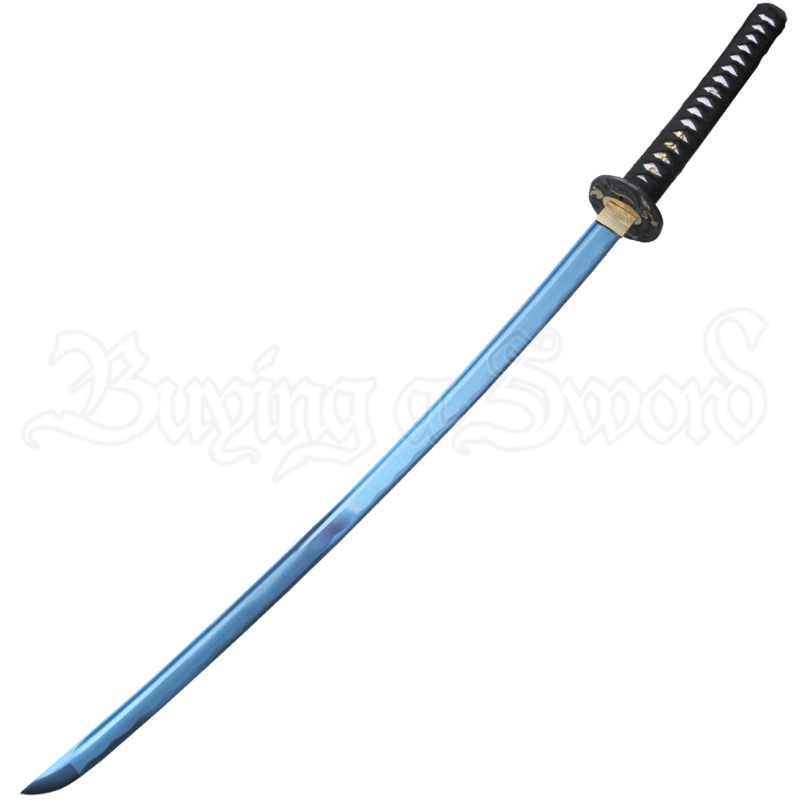 The Blue Blade Katana displays an additional noteworthy element in the brilliant blue coloration of its carbon steel blade. The functional katana has a fuller and zinc alloy fittings. The tsuba displays a dragon design. The imitation ray skin handle is wrapped with black cord, which looks great with the black lacquer scabbard. 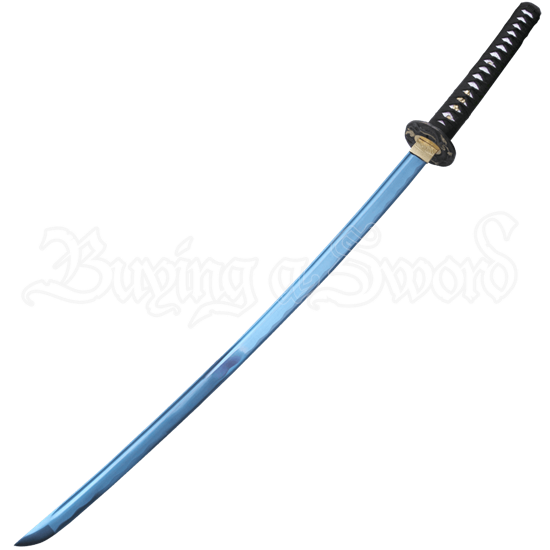 Anyone looking to expand their collection with an oriental blade that will stand out from the rest can be assured that this blue sword will do just that. The hand-forged sword is sure to become a favorite!